The Spot-Spitter Tall stands 11" high and allows you to put more of the stake in the ground, increasing stability while also increasing the above ground height. 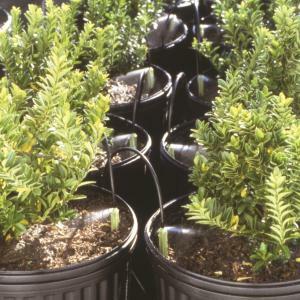 It is ideal for Pot-in-Pot, Ball and Burlap, field grown and large container applications. The Spot-Spitter Tall is available in both the horizontal spray and the down spray styles.